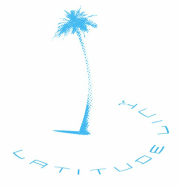 Latitude Link is a theatrical production and licensing company with award-winning shows on stages worldwide. Since its inception in 2005, the company's productions have been enjoyed by over 12 million people. Latitude Link shows have been nominated for a total of 53 Tony Awards® and have won 22--as well as Olivier, Dora, Green Room, and Helpmann Awards. To date the company's shows have generated over $2 billion in ticket sales and been seen in the U.S., Canada, the U.K., Australia, New Zealand, South Korea, Singapore, South Africa and Japan.